UPR just keeps bringing you the best and most innovative ideas. Here is the latest from the Top Secret Zone on UPR Products Trick new High-Flow Big Mouth Filter kit. 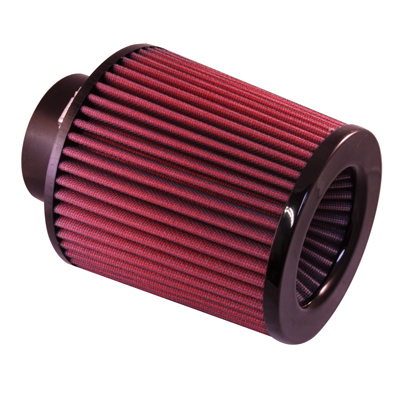 Our Filter now incorporates a custom flowed Air Enhancer, Track Tested and the Dyno Proven! Our custom Air Flow Enhancer redirects and straightens the Air coming into the filter by matching the two air streams to Eliminate Turbulence and Increase Air Speed by as much as 35%. The biggest reason for the Flow Enhancer Tip is just One thing Horsepower and this baby flat out gets it. Quality Construction: Made with a Urethane base and body for cooler inlet temps and new type of high flow cotton element. No one else gives you the bold clean styling of our Aftermarket Dress Ups, Suspension and Performance Parts for your American Muscle Car like UPR Products! Installs in 10 minutes or less. Click Here for Cleaning Instructions Fits these Vehicles: 1979 1980 1981 1982 1983 1984 1985 1986 1987 1988 1989 1990 1991 1992 1993 1994 1995 1996 1997 1998 1999 2000 2001 2002 2003 2004 GT V8 Mustang Steeda Roush & Saleen Vehicles.